BONDEK PLUS® profiled steel decking has been supporting concrete slab construction throughout Australia for a long time. BONDEK PLUS® (usually referred to simply as Bondek or Bondek slab) is a rugged steel reinforcement system for concrete ceilings and decks. Thanks to its innovative design, BONDEK PLUS® provides greater wide span support and deflection strength for concrete slab construction compared with other products. BONDEK PLUS® is ideal for concrete slab construction in residential, commercial, and civil infrastructure projects such as ceilings, balconies, car parks and garages. The clean, elegant lines of BONDEK® provide a smart looking ceiling but adding alternative finishes or suspended ceilings are perfectly straightforward options also. No 1. Roofing and Building Supplies is one of Sydney’s most respected BONDEK® suppliers and we can supply all your BONDEK® needs. What Makes BONDEK® So Good? Lysaght BONDEK® is a highly efficient, versatile and robust formwork reinforcement option. 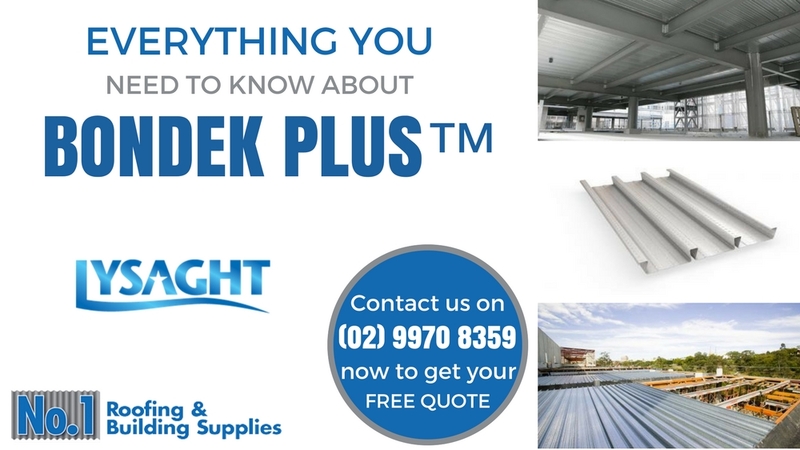 BONDEK PLUS® is the profile steel sheeting most widely accepted by the building and construction industry and offers installation efficiency, and significant savings on concrete and reinforcement costs. BONDEK PLUS® works as composite slab with a dual function as a robust formwork reinforcement and ceiling system for concrete slabs in the building and construction industry. Innovative design ensures optimal performance where it matters. The innovative dovetail ribs increase lateral strength by 10% and significantly reduce the possibility of bending and deformation of sheets. BONDEK PLUS® comes in a variety of thicknesses: 0.60mm 0.75mm, and 1.00mm and provide 550MPa of yield stress strength. This inherent strength means BONDEK® offers top of the class spanning capacities. Embossed ribs at 200mm centres add to the structural and bonding strength with the concrete. The embossed ribs also increase worker safety with the enhanced surface grip reducing the possibility of workers slipping. Superior galvanising in accordance with AS1397:2001 means your BONDEK PLUS® steel is going to look good and stay strong for many years. Like all Bluescope Steel products, BONDEK® is covered by an extensive warranty. BONDEK® provides a really smart surface finish to the underside of concrete slabs without the need for further treatment or, alternatively, other finishes such as vermiculite plaster can be applied. We can also supply BONDEK® with a pre-painted Britewite soffit finish. Plasterboard or suspended ceilings are also straightforward options that can be easily applied to BONDEK PLUS® panels. The superior strength of BONDEK PLUS® requires fewer temporary reinforcement props during the concrete pour and setting phase. Having the correct number and positioning of reinforcement props is particularly important to avoid excessive ponding of the concrete and undue stress and decking deflection. The actual number of props required will depend on panel thickness, span width, and concrete slab depth but the BONDEK®’s reduced prop requirements means faster installation and lower install costs compared to other steel deck panels. Remember to leave the props in place until the concrete has attained at least 75% of its 28-day strength. BONDEK® Edgeform makes the whole job of pouring your concrete to a uniform level so much easier and gives the finished product a really neat professional finish. Edgeform is simple to install, being shot-fired to steel supports or the BONDEK® panels themselves with additional strapping riveted in place at 600mm centres to support the top edge. At No1. Roofing and Building Supplies we manufacture BONDEK® Edgeform in-house and can meet all your custom design requirements quickly and without any fuss. What are the Spanning Capabilities of BONDEK®? BONDEK PLUS® has been designed as a versatile and robust composite slab with an optimal spanning capacity for single slabs and continuous slab construction. With a single panel covering 600mm, potential unsupported spans may range from 2m up to 3.6m and up to 9m in specific supported settings. Long panel runs also reduce installation costs. Remember to check engineers’ specifications when drilling holes for pipework or wiring, as any holes can result in a considerable strength reduction through the slab. BONDEK® is widely accepted by the building and construction industry as the gold standard in permanent formwork that combines minimal propping requirements with reduced concrete demands. Recent projects where BONDEK® has contributed to massive cost savings range from a $7 million Queensland college campus build that required some 1,350 square metres of BONDEK® to an $80 million Sydney retail centre. Order your BONDEK® profiled steel decking from No1. 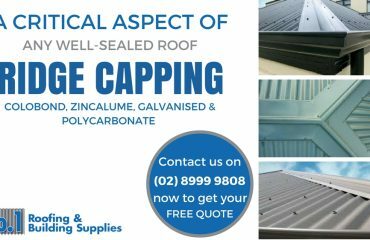 Roofing and Building Supplies and you can have the confidence that you are buying from one of Sydney’s most reputable building and construction suppliers. 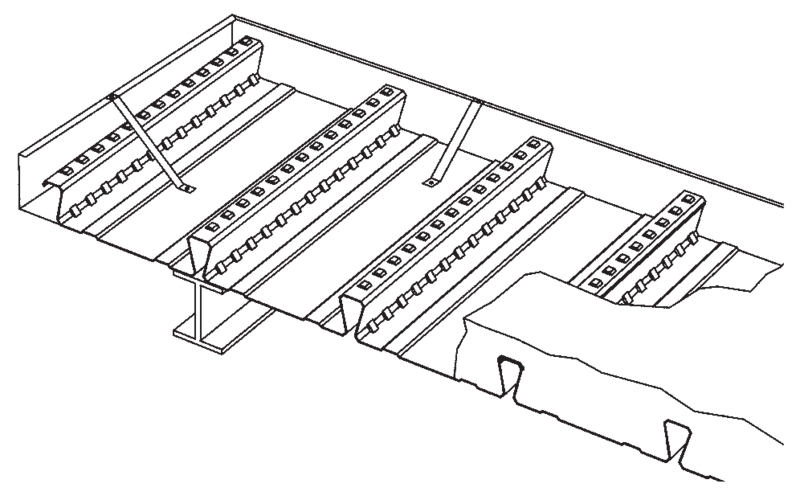 Many builders buy their Lysaght BONDEK PLUS® steel decking in standard lengths, which they then cut to size for your project onsite. This is a highly inefficient, haphazard, and costly way of getting the job done. We can cut lengths to your requirements and have the sheets delivered to your site within two days, saving you both time and money. Here at No1. Roofing and Building Supplies we have the technical expertise to calculate all the spanning requirements for your job. This is another area where we can potentially save you time and money because most BONDEK® re-sellers will need to redirect your inquiry to the supplier with a lengthy and costly delay while you wait for a response. Lysaght BONDEK PLUS® has been a big part of some of Australia’s most important civil and commercial construction projects. Join with No 1. 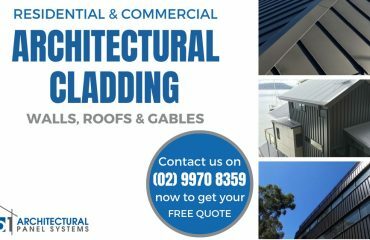 Roofing and Building Supplies and let us show you how Australia’s most trusted steel deck for concrete slabs can transform your build.